To someone raised on stories of the sea: epic ocean voyages of the 1950’s and 60’s completed by a whole gallery of legendary names, the fact that quite a number were achieved with minimal financial outlay –and not a few aboard the most unlikely craft- has always been a consolation. Donald Ridler’s amazing feat in sailing a home built junk rigged Dory, constructed from old floor boards, to the Caribbean, or Frank and Margaret Dye’s outstanding voyages in their Wayfarer dinghy, provide ample proof that a private fortune is not required to get afloat, and to voyage safely. 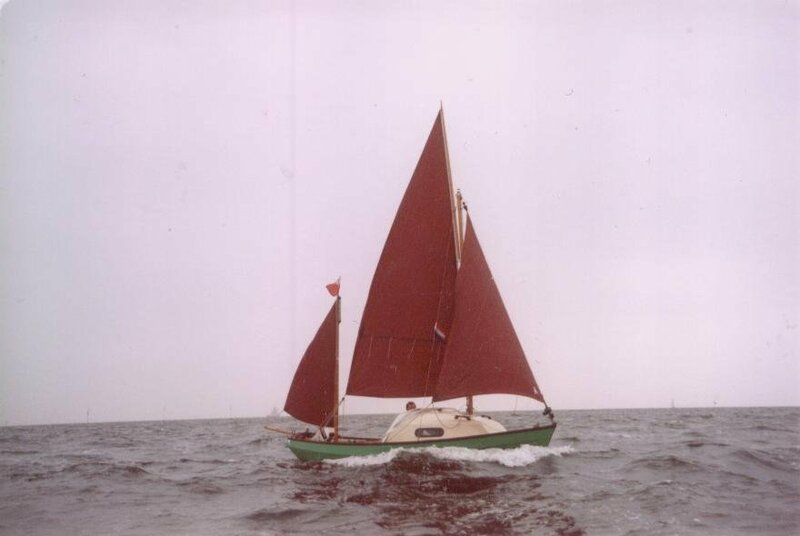 When John Watkinson was preparing the design of his first Drascombe Lugger, over forty years ago now, he drew inspiration from the lines of traditional beach launched fishing craft. He could little have imagined that someone would -within a decade- sail replicas of his masterpiece practically around the world. It was these achievements by David Pyle and by Webb Chiles, in open boats, that set the standard. This was the proof that John Watkinson had succeeded in faithfully recapturing the legendary seakeeping ability of the Northumberland hand line fishing craft, evolved along the exposed North Sea coast. Boats that had brought their crews safely home from the fishing grounds for generations were marvelled at and copied, less able craft did not return: true evolution. We may never dream of repeating any of these epic challenges. 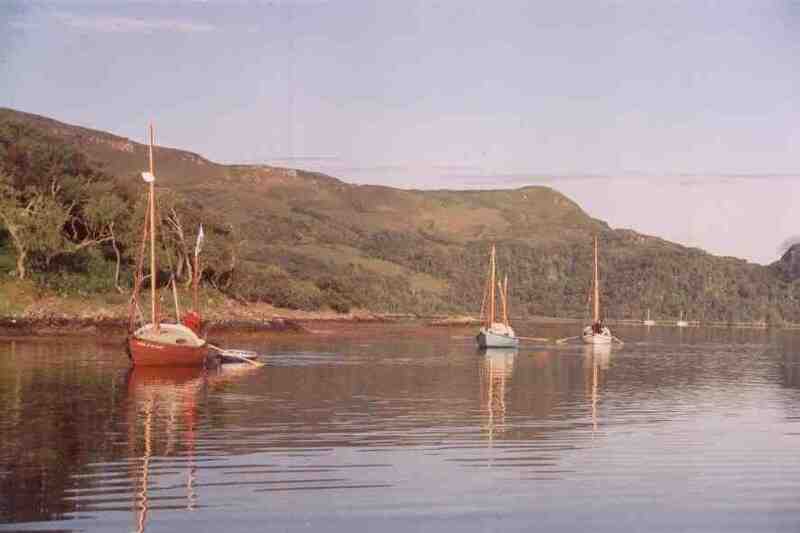 But when, with a finite budget, one is selecting a small craft in which to get afloat, it is a very telling thing to recognise that by choosing a Drascombe one is, in truth, opting for ‘the small boat that can’. I first glimpsed a Coaster while walking in a mid summer storm along a gale swept West Highland shore. The Drascombe was moored a short distance offshore, leaping the tumbling rollers, it’s decks quite dry in spite of the surf. As I watched each breaking crest sweeping harmlessly beneath the keel, I knew I was seeing something special. The conditions that day were an impressive test. Later at an Earls Court Boat Show I was able to inspect the Coaster design in detail… perhaps driving the salesman to distraction in the process: opening the hatches, removing the berth cushions and peering into all the hidden corners! To my experienced boat builder’s eye this conversion from an open boat was very appealing. 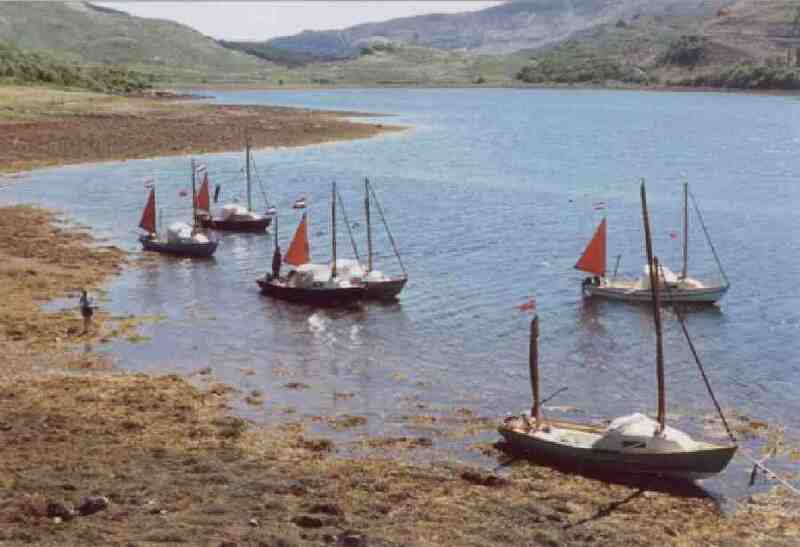 Here was a craft that shared all the seakeeping ability of its small sister, the Lugger, had the load carrying ability of its non identical twin, the Longboat, but now had the appearance of a small yacht, albeit one that could float in a foot of water. The potential seemed endless. Visions of live-aboard cruises, island hopping on the ocean or simply pottering about inland waterways and canals, picnics to sandy beaches, happy family days afloat all flooded my mind. It was clear too, that, from wherever I chose to sail, the whole boat could be recovered swiftly onto its trailer. Hooked to an average family car it could be towed, quite simply, back home. Even with limited time for holidays, ownership of this Coaster could never restrict our sailing to home waters: we could travel anywhere! Short breaks on the lakes, yes, but also summer holidays in Denmark or France, or voyages among the western isles of Scotland… we could simply take our own small yacht with us. All we would need was a small slipway, a secure place to leave the car and trailer, and we could be off with our home on our backs, like a hermit crab. Any of those special places that only cruising sailors can reach would be open to us to enjoy, too. The arrangement of the Coaster inspires confidence. For a start the hull is sealed up to deck level. Cleverly shaped storage areas, many accessible only from within the ‘cuddy’ forward, divide up the space below decks. Quantities of expanded foam buoyancy, concealed within the hull, ensure that the Coaster should never sink. With its small self contained cockpit, equipped with large capacity manual bilge pumps and separated from the cabin by a complete bridge deck, the arrangement is seamanlike. The cabin opening (which can be locked) is equipped with washboards. Small scupper holes on the side-decks ensure that any water collected on deck will self drain. One can see by the attention to detail that seaworthiness has never been compromised. The rig is simplicity itself. 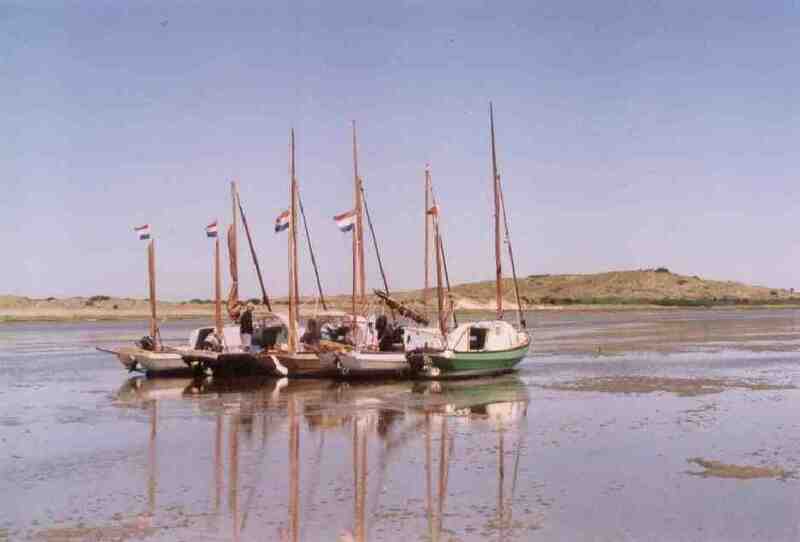 Well proven in both the Lugger and Longboat, the twin masted gunter rigged yawl has loose footed sails. This enables such a variety of sail configurations to be hoisted or reefed, that progress is certainly possible in conditions ranging from gentle breezes even up to full gale force winds. 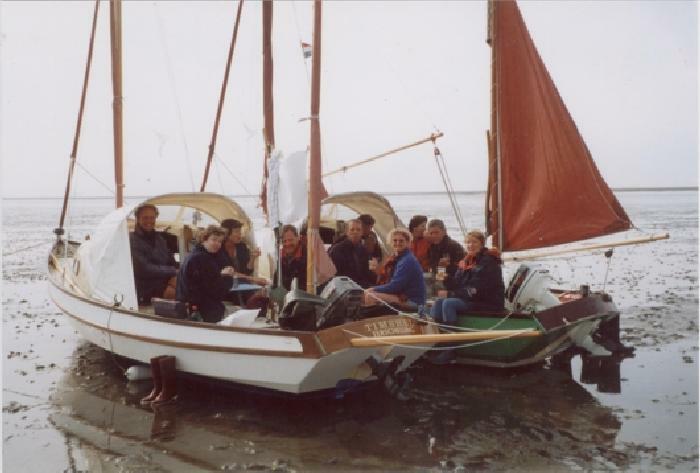 With the optional roller furling foresail fitted the flexibility of this rig makes this craft unique. Arguably no other 22 foot centreboard sailing boat has proved so suitable for short or single handed sailors who venture along a coastline. The arrangement of small ‘cuddy’ forward ensures that, should the need arise, as many as four or five people could squeeze in out of the elements. Here it is possible to prepare food out of the wind, keep things reasonably dry, enjoy the comfort of full length (200 centimetre) berths for two, and live afloat for days at a time. With the addition of the optional sprayhood even more deck shelter can be made available, and, once anchored, it is perfectly possible to rig a deck tent in which extra crew can sleep. But in many respects the Coaster is, in reality, just a big dinghy. With its centreboard, simple rig and pivoting rudder blade it can be equally at home in the shallows of a river, as it is out at sea. Fitting an outboard engine of between 4 and 8 hp will increase the versatility, although experience demonstrates that the Coaster is perfectly safe to sail without one. Rowlocks are standard and in calm conditions the Coaster can be moved quite well under oars alone, while, with a little practice, many owners find the art of sculling over the stern with a single oar very effective. This range of capabilities make for a unique coastwise cruiser, one that is just as able when negotiating shallow mud flats as in navigating deep channels between them. Perfectly at home at anchor in vacant shallow corners of congested harbours, inaccessible to keel boats! Happy too while left on a drying mooring or beached on the shore, and then equally steadfast for relaxed nights at anchor in wild deserted rocky coves. All this in a craft with pedigree proof that this is no toy… every Coaster is designed to be capable of bringing you safely to your destination, even across the open sea. Hardly surprising therefore that when choosing my Drascombe there was, for me, just the one choice. Back then we were a family of five: parents and three teenage sons 10, 13, and 15 and a tight budget. We had a home that was almost two hours by road from the sea. Recognising the importance of a well built trailer we made a special effort to choose a first class design for her. The one we selected is heavily galvanised with proper braked road wheels. It is equipped so that launching and recovery can be well controlled, using the trailer’s own winch. With practice I have learned that I am easily able to manage this operation even on my own. Close to our home there was a major river with extensive gravel pits that had been landscaped for boating. Here, from the all important slipway, early experience was gained. But later that first summer we toured Friesland, in north east Holland. We voyaged through seventy miles of canals and lakes under motor and oars, lowering the mast to negotiate low bridges, hoisting sail to fly downwind when exploring the larger lakes. All five of us lived aboard: the boys sleeping sheltered by a deck tent over the cockpit. Used to camping we were perfectly comfortable. For the last couple of days, as a treat, the two older boys and I sailed away westwards in a gentle breeze, right across the IJsselmeer, to pass the night moored in the centre of the ancient Dutch trading port of Enkhuizen. Our return next day, across a southerly force four that gusted to force six, ended any lingering doubts about the ability of the Coaster. This boat impressed us all! Since then we have fulfilled many early dreams. 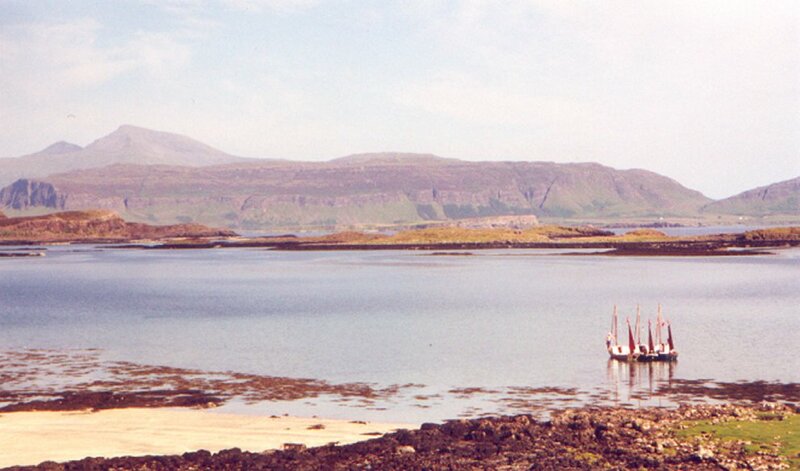 Several holiday voyages have found us island hopping to experience the Atlantic fringes off the west coast of Scotland. Another memorable summer gave us a great fortnight in the north of Denmark exploring that secret inland sea, the Limfjord. We have become experienced at negotiating the sand flats, shallows and the wide open spaces of the Dutch Waddenzee as well as the rocks and swift tides of the Atlantic coast. However… always a true family boat, our Coaster has also provided us with fine lazy Sunday afternoons by mimicking a bathing platform down on the local lake. The versatile Coaster has one last quality, she has proved that she is also an ambassador and diplomat: she attracts friends wherever she goes. Her greatest mediation, however, involved her tolerant capacity as family ‘baggage trailer’ during the road sections of our holidays. She has put a stop to the yearly moans formerly heard while packing up: ‘How can we possibly fit all the holiday stuff into the car?’ Her solution is stark and simple: if there isn’t room on the boat then you probably won’t use it anyway! For us, making the choice to ‘adopt’ a Coaster has proved the defining moment in long held ambitions to get out to sea in our own boat. Never doubt it… the Drascombe Coaster with her trim woodwork, traditional brass fittings, wooden masts and tan sails really is the little yacht that ‘Can’.